Mike Greene - mgreene@shawmedia.com McHenry's Cody Freund braces during a collision at the plate with Crystal Lake Central's Josh Reilly Friday, April 13, 2012 in Crystal Lake. McHenry won the game 5-3. Mike Greene - mgreene@shawmedia.com McHenry's Paton Lykins throws the ball to first base during a game against Crystal Lake Central Friday, April 13, 2012 in Crystal Lake. McHenry won the game 5-3. 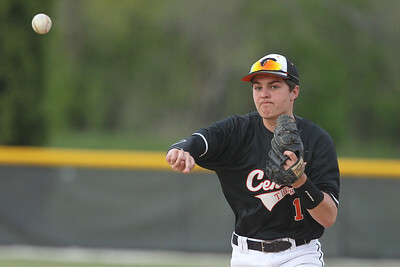 Mike Greene - mgreene@shawmedia.com Crystal Lake Central's Colin Telemanik reaches for a bunted ball during a game against McHenry Friday, April 13, 2012 in Crystal Lake. McHenry won the game 5-3. 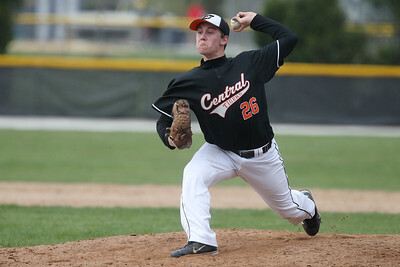 Mike Greene - mgreene@shawmedia.com Crystal Lake Central's Jacob Roley pitches during a game against McHenry Friday, April 13, 2012 in Crystal Lake. McHenry won the game 5-3. 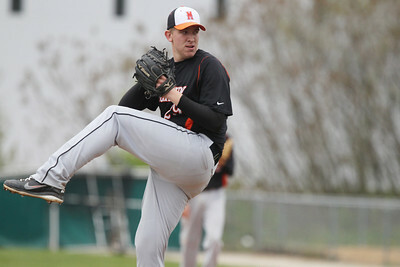 Mike Greene - mgreene@shawmedia.com McHenry's Kevin Maher pitches during a game against Crystal Lake Central Friday, April 13, 2012 in Crystal Lake. McHenry won the game 5-3. 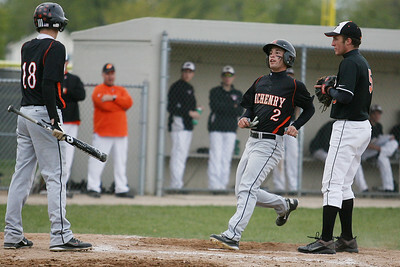 Mike Greene - mgreene@shawmedia.com McHenry's Kyle Clark (center) crosses home plate after a passed ball thrown by Crystal Lake Central's Stuart Streit (right) during a game Friday, April 13, 2012 in Crystal Lake. 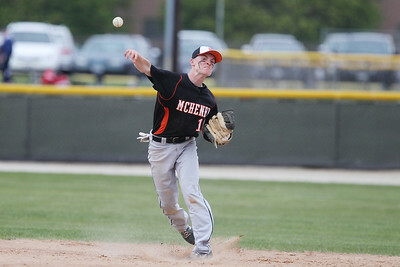 Clark started a four-run comeback in the seventh inning leading McHenry to a 5-3 victory. 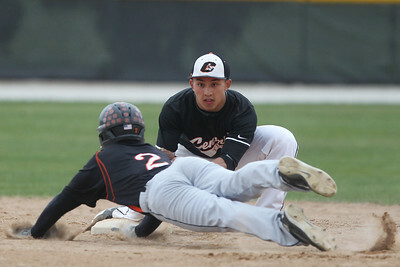 Mike Greene - mgreene@shawmedia.com Crystal Lake Central's Connor Skrypek prepares to place a tag on McHenry's Kyle Clark during a game Friday, April 13, 2012 in Crystal Lake. Clark was thrown out on the play. 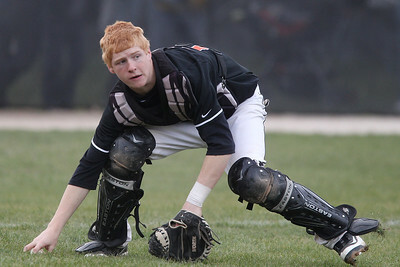 McHenry defeated Crystal Lake Central 5-3. Mike Greene - mgreene@shawmedia.com McHenry's Alex Obenauf catches a fly ball in the outfield during a game against Crystal Lake Central Friday, April 13, 2012 in Crystal Lake. McHenry won the game 5-3. Mike Greene - mgreene@shawmedia.com Crystal Lake Central's Josh Reilly throws a ball to first base during a game against McHenry Friday, April 13, 2012 in Crystal Lake. McHenry won the game 5-3. 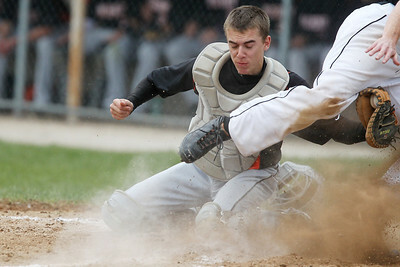 McHenry's Cody Freund braces during a collision at the plate with Crystal Lake Central's Josh Reilly Friday, April 13, 2012 in Crystal Lake. McHenry won the game 5-3.